What happens when someone dies? Does the way they die impact their experience of life after death? Can they still communicate with us? Do they continue to take an interest in our lives? Can they experience our love? 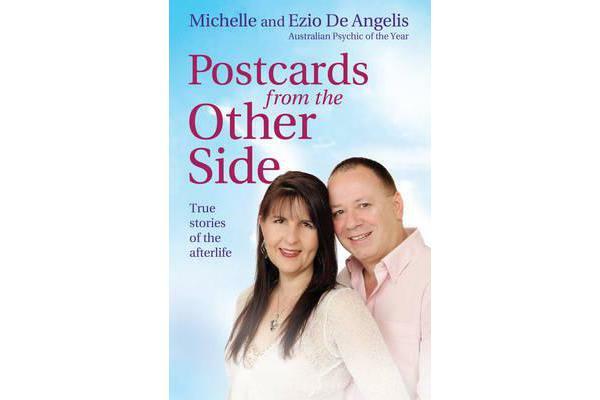 Celebrated psychic mediums Ezio and Michelle answer many of the unanswered questions we have about the afterlife. Meet T.J., tragically murdered at sixteen, who describes his death and journey into the spirit world. Read about Renee whose yet-to-be-born nephew showed up during a reading to choose his own name, and Janet who tells of her reconciliation with her brother Tony, who died in a car accident. These and other remarkable stories from everyday people provide countless insights that help us beyond the terrible sense of loss and unanswered questions we face when we lose someone we love. That’s Life! readers consistently tell us that the insight and compassion shown by Ezio and Michelle brings them a great deal of comfort. Our readers also regularly tell us that after speaking to Ezio and Michelle they feel a weight has literally been lifted off their shoulders. The accuracy and details this couple give leave no doubt that they are in contact with the departed. – Eva Lewicki, Associate Editor, That’s Life!, New Zealand Editor, That’s Life!